What does it mean to be hungry? We have all felt it, but in some ways it is difficult to describe or put into words. There is a tension in hunger, an uneasiness. For those in our world who experience daily hunger, there is pain and anguish. Our experience tells us however that hunger comes in many forms and not all of them physical. We hunger for love and understanding and acceptance. We thirst for a place to belong and call home. Ultimately, I believe that at the root of all human hunger is fear. This fear is fueled by the belief that we will always be empty and that abundance is a myth or a fairytale. We fear that our quest for fullness will only lead to frustration and dead ends. 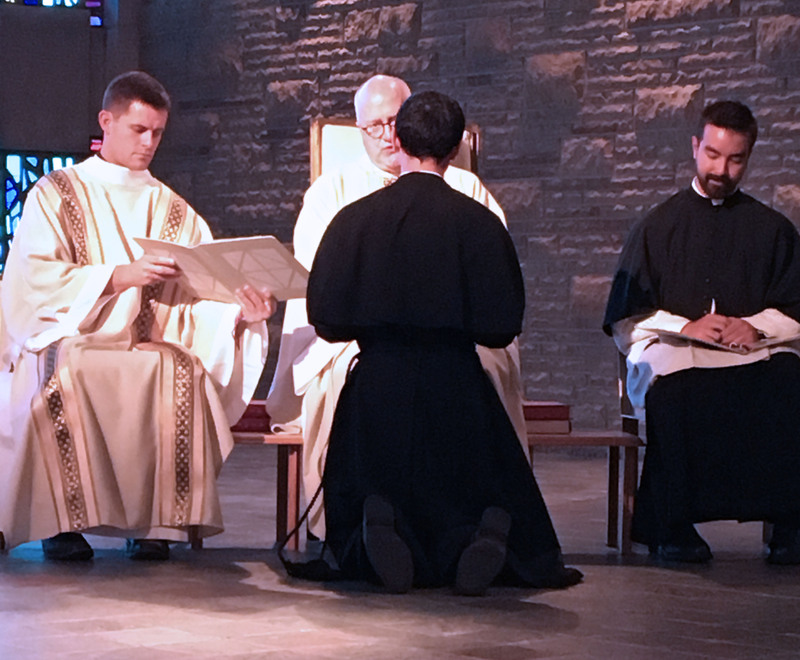 Last week, I, along with my classmates, was instituted as an acolyte. This ministry in the Church is a significant step on the journey to priestly Ordination and is grounded in the Eucharist. As acolytes we are charged with distributing the Eucharist at Mass and bringing it to the sick who can no longer attend the Sunday assembly. I view my ministry as an acolyte to be one of mediation. Through God’s grace this ministry allows me to mediate between the world’s hunger and the abundance of God. As Jesus tells us in John’s Gospel, “I am the bread of life; whoever comes to me will never hunger, and whoever believes in me will never thirst.” (Jn 6:35) Jesus offers His very self in answer to the world’s hunger. In our culture and in our Church there exists a great deal of hunger and an anxiety concerning scarcity. In these challenging times, we are called more than ever to return to our source; Jesus. It is the presence of Jesus in the Eucharist that will provide us with the strength and fullness of life needed to continue our journey as pilgrims. It is a great joy for me to mediate this source of ultimate nourishment. 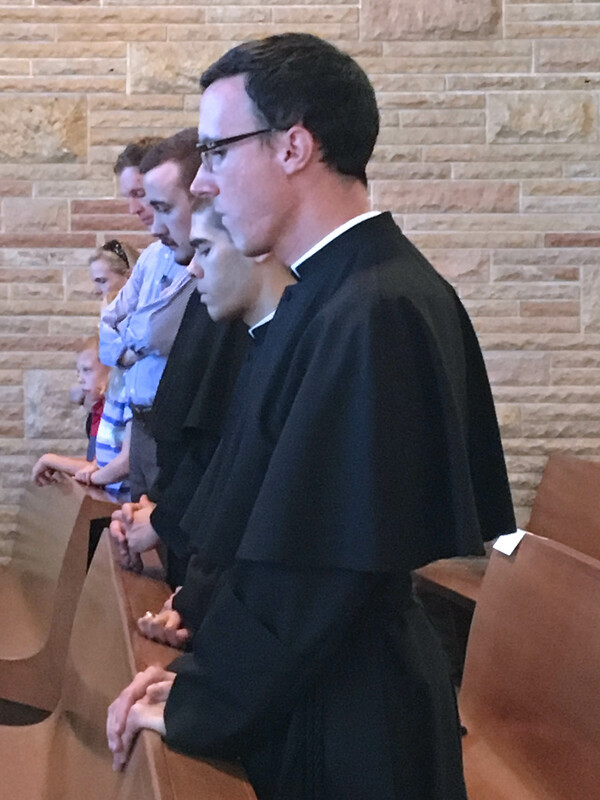 Mr. Robert Lisowski, C.S.C., is a third year temporarily professed seminarian with the Congregation of Holy Cross. He is originally from Old Forge, Pennsylvania. Robert studied previously Philosophy at St. John's University, and is now working to complete his M. Div. at Notre Dame.